Auctions America, a division of RM Sotheby’s, has come a long way since it started still has cars that are not stratospheric in price and therefore available to the average collector. Auctions America, a division of RM Sotheby’s, has come a long way since it started, but even though it has an increasing number of high-dollar collector cars at its auctions, it still has cars that are not stratospheric in price and therefore available to the average collector. The Fort Lauderdale sale this weekend has more than 500 cars on offer with everything from Bugeyes to Batmobiles —and seemingly everything in between. No matter what your car interests might be, this sale has something for you. I went through the lot list and picked eight cars that I would most like in our garage, ranging from the affordable to the unattainable. But, hey, we can still dream can’t we? The Montreal has been a car I should have bought a few years ago when they only cost $25-30K. This example has had two owners from new and is in very nice condition with the only modifications being a later Crane electronic ignition and an Autodelta suspension kit. Pre-auction estimate is $70,000 to $85,000. These cars are very likely going to continue to rise in price so if you have the money bid on this one. A forgotten part of Shelby history but interest in these is growing. They are fun, sporty cars, some are even quite fast, and are a genuine Shelby-produced car. The CSX was probably the best executed Shelby Dodge model and had a total production of just 500 cars. Couple that to a 135 mph top speed and a 0-60 time under 7 seconds and the CSX is a genuine and rare performance car. This one is as close to perfect as you are likely to find. Pre-auction estimate is $20,000 to $30,000. This could end up as one of the best buys of the sale. This 1966 GT350 is at the other end of the price spectrum, but at the estimate of $150,000 to $200,000 still sounds like a pretty good deal. An early Shelby Mustang will always be a collectible car. The 1966 cars are a bit more refined than the 1965 Shelby Mustang but still have that awesome original fastback styling. This is a documented one-owner car. Ed Welburn, head of the GM Design, named the 1967 Eldorado as one of his favorite designs. We agree wholeheartedly. Much ado has been made of Olds Toronado and Buick Riviera, which share the same chassis, but I honestly think the Eldo is the best executed design of them all. If you want the ultimate American personal luxury car of the 1960s, this Eldorado would fit the bill. The pre-auction estimate is $40,000 to $50,000 but I think it will sell for a bit under the low estimate. This Corvette is one of the best C3 investments still out there. This car is equipped with the 425-hp 454-cid LS6 engine, 4-speed gearbox, a/c and the tilt/telescopic wheel. The best part to me is the styling. The early '70s Corvette was the best version of the breed with chrome bumpers and side slats. The bonus of this one also being a convertible and in sunflower yellow. The pre-auction estimate for this terrific car is $60,000 to $70,000, which makes it look like a bargain when compared to the price of an L88. I remember a time when the Citroen SM was a car to run away from — and run quickly. These days the issues that plagued it have been solved and an SM can make for a great GT car for classic events and car shows. The SM is very rare in the U.S. and offers French eccentricity and Italian power. This example looks to be well sorted, with the added bonus of a manual gearbox to make the most of the Maserati V6. There are few ways to make a bigger statement at the local car show, especially for the $30,000 to $40,000 estimated value. In what other classic exotic car can you get epic Italian styling combined with the practicality of a Ford V8?. This Pantera, with only 20,000 original miles, is said to be cosmetically all original and is in a rare and stunning Dark Blue with black leather. Pre-auction estimate of $70,000 to $75,000 might seem a little high but is market correct. With the more plentiful Ferrari 308 models breaking the $100,000 mark I think Pantera is likely the next car to reach these levels. Buy it now and enjoy a great looking exotic car with great performance and inexpensive running costs. 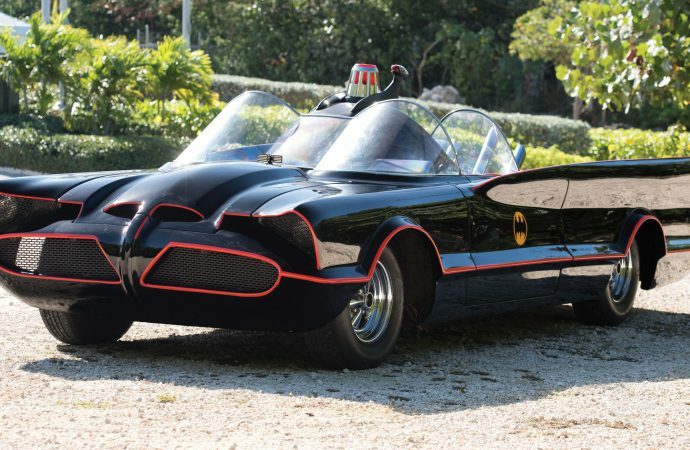 What car crazy person has never wanted to drive the Batmobile? Sure they don’t drive particularly well but nothing can beat the Batmobile for the sheer spectacle. 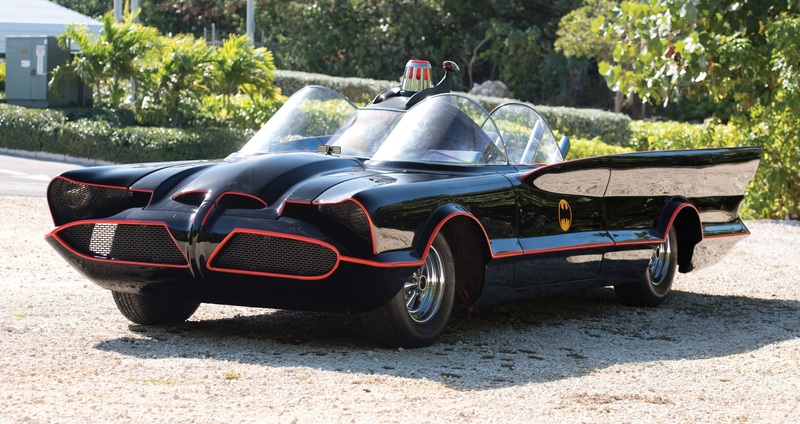 The first Batmobile, designed and built by George Barris sold for $4.6 million but there were many more built and you don’t need to be a millionaire to get your very own example. This car is said to be the sixth and was used to tour the U.S. to highlight the dangers of alcohol and drugs to children. Buying this car guarantees you a trophy at just about any car show. Pre-auction estimate of $125,000 to $175,000.